GORHAM — Town Manager Ephrem Paraschak presented his proposed $15.5 million municipal budget to town councilors last week. The proposed budget, an 87-page document, is up $683,869 from the current year’s $14.8 million, representing a 4.6% increase. It would increase the town’s share of the tax rate by an estimated 21 cents per $1,000 of valuation. Taxes on a home with an assessed value of $250,000 would increase $52.50. “I think the town manager has done a good job of presenting a fiscally responsible budget,” Town Council Chairman Benjamin Hartwell said in an email Tuesday to the American Journal. Paraschak adusted his salary from $118,170 this year to $114,992, a reduction of $3,178, to correct a rate adjustment relevant to the previous town manager’s salary, but not his. The town budget does not include the county tax assessed on Gorham or the cost of education. The School Committee was to vote Wednesday evening after the American Journal deadline on a proposed $41.1 million budget. The Cumberland County tax increases $68,750, or 5.9%, from more than $1.1 million to $1.2 million. 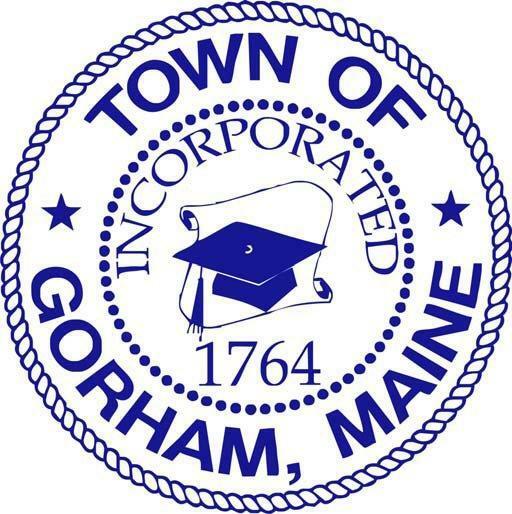 The county tax increases the town’s tax rate a projected 3 cents per $1,000 of assessed valuation equalling $7.50 for a $250,000-home in Gorham. Paraschak’s proposed budget includes stepping up the economic development director’s position from part-time to full-time. The salary would jump up $26,080 from $53,695 to $79,775. “The intention of the increase in the economic development director’s salary is to make the position a full-time position, restructure it to be under the community development director position and resolve some issues around the GEDC bylaws. The community development director was formerly the zoning administrator position,” Hartwell said. The budget also calls for hiring a full-time administrative assistant in the assessing office, elevating the fire inspector to full time and adding a part-time youth services librarian at Baxter Memorial Library and a municipal IT position. It also includes the addition of a school resource officer for the elementary schools with the School Department picking up 67 percent of the costs. “In summary, I would like to thank our department managers and town staff for the support and fiscal restraint they have provided in helping create the FY2020 budget for the town of Gorham. Every department has significant needs as Gorham grows; however, our staff has worked diligently to prepare cost effective solutions to meet the needs of the community,” Paraschak wrote in his transmittal letter. The proposed municipal budget can be viewed at www.gorham-me.org. Hartwell said Wednesday the Town Council will vote on the budget at its June meeting. The Town Council and School Committee will discuss the school budget in a joint workshop May 14. The Town Council discussed Paraschak’s proposed town budget in a workshop April 6, but won’t have another workshop unless councilors request it. After the school budget is approved June 4 by the Town Council it goes to a voter validation referendum in June.